On Thursdays I usually make a Spotlight post (click for previous Spotlight posts) where I pick a theme and highlight a bunch of books that fall within that theme. 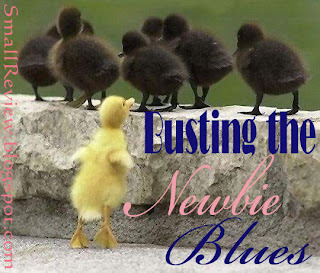 This week I’ve decided to shift focus a little and turn the spotlight onto me by participating in my event Busting the Newbie Blues. Everyone is invited to participate in this event! You can find out about this event and how you too can participate by clicking the link or the picture. I hope my answers are as helpful as all of yours have been! I officially started late October 2010, but I only really got up and running in November. I stumbled across a few YA book blogs (The Story Siren and Need_Tea's blog in particular) and started reading them regularly. They helped me out so much with finding new books that I decided I wanted to give back a little to the community by sort of paying it forward. Without going into a big long ramble (which I tend to do), you can read more about why I started this blog in my About section. The technical aspects, getting my name out there, and time management. I'm not very computer literate when it comes to these sorts of things, so this was all a very learn as you go experience. Creating my banner and background were my first real attempts at using Photoshop, but I think they turned out ok. They're far from perfect, but once I shove the overly self-critical part of my brain away I'm pretty proud. Google was my best friend throughout this process, as I was constantly typing in "How to..." every time I ran up against a wall (which was often). Getting my name out there has been a mixed bag. It's been really time consuming, but I think my efforts have been rewarded. I've met some really awesome people in the process, so that's made it a lot of fun. Time management is the biggest hurdle now that most of the technical things are out of the way. I'm still struggling with this one. I spend hours trying to respond to all of the comments on my own blog, visit and comment on a ton of blogs (I think I have over 100 bookmarked), plus then there's also finding time to write the content for my blog and actually read books. Running this event is also very time consuming because I try to explore every blog that signs up and leave meaningful comments. I'm working on putting together a schedule for myself and then sticking to it. What do you find most discouraging about being a new blogger? At first I was kind of discouraged when I didn't have a lot of followers or comments. I had just started out, and I knew it takes time, but I wondered if it would ever happen. Then I looked at some of the blogs I admire and did a little math. (I'm a bit of a nerd with math). My math told me that those bloggers who have super impressive follower numbers averaged anywhere from 30-80 followers a month. I figure the more established they became, the more followers they had each day, and when they were starting out they probably weren't even getting that many a month. That put things in perspective a lot and I realized I wasn't doing badly at all. That was the "hard proof" I needed to believe what I knew all along: It takes time. I haven't worried about it since. The people. In particular, getting to know everyone through comments and their blogs. If nothing changed from how they are now, at this point I would be completely satisfied. I've met some really kind and wonderful people here, I feel like I'm a part of an up-beat and welcoming community, I can chat to my heart's content about YA books with people who are as passionate about them as I am, and I've actually managed to meet my goal by helping some people. This community has brought me so much joy. I like the blogs that have helped me by putting new books on my radar or providing thoughtful reviews for books I've read or want to read. I'm usually a step or two behind most news (my middle name is "Lives Under Rock"), so I'm not sure how good I've been at bringing new books to people's attention. I do try to highlight older books I think may be less popular but deserve recognition, so I might have accomplished my goal in this way. As far as thoughtful reviews are concerned, well, I hope I have. I am still trying to find my voice and I'm not quite sure yet what works best. I started out writing reviews on Amazon where I went for a drier approach. Blogging is completely different and you're actually encouraged to let your voice and personality shine through your review. I'm a really shy person, so I often think I sound pretty silly when I write in a manner closer to how I would speak. I've been sort of posting, hiding behind my hands, and then peeking out between my fingers thinking, "Oh gosh, I hope that doesn't sound too stupid." I really like blogs where the blogger interacts with people who leave thoughtful comments. I feel a lot more connected to the blog that way and that the blogger really cares about their blog. I understand not being able to reply to every comment, especially when a blogger gets 50 different comments saying "Nice mailbox!" but when a person takes the time to write a thoughtful comment I like it when the blogger takes the time to respond. I try to do this on my blog and those interactions have become one of the most rewarding parts of blogging. I also like blogs that are really well designed. 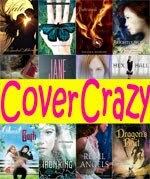 Danny from Bewitched Bookworms has designed some of my favorite sites. She's really amazing. In that regard I've decided to just accept my limitations for now. What do you dislike about blogs you’ve read? Do you try to avoid this? My vision is pretty poor, so I have trouble reading blogs that have tiny font, white font on a dark background, or colored font on a colored background. I didn't do this on my site both for anyone reading my blog and so I could actually read my own blog. The captcha codes you have to type in before commenting can also be irritating. Most of the established bloggers don't have them and it doesn't look like they have to deal with spam. I imagine if anyone is going to be targeted, it would be them. The only other thing is negativity. Meanness really turns me off and I don't want to read it or write it. I like being happy, so I want to spend my time around people who are happy and who make me happy. I'm relieved to say that the vast majority of the YA book blogging world seems to be filled with the nicest, most up-beat people around. I love it! Any advice for other new bloggers? Not much considering I'm very new myself. I'm still finding my footing here, but what seems to work the best is just putting yourself out there. I was so nervous about commenting on people's blogs at first. I was so impressed with their blogs and wondered who am I to post on their blog? Like I was the new girl butting into a conversation at the popular table. But then I just realized I have to just jump in. When I did, I realized how nice and welcoming everyone is and how unfounded my fears were. 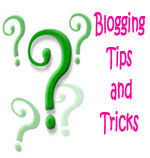 What I did find helpful for a shy person like myself was to start talking to other newer bloggers. They seemed a lot more approachable and less intimidating. We also had common ground beyond our shared interest for YA books. It was through those conversations that the idea for this event began to percolate in my head. A final piece of advice, but take it with a grain of salt because it's just my opinion: Don't follow someone just so they will follow you. I feel uncomfortable when I get out of the blue follow requests from people, especially since I try to check out the blog of every person who comments on my posts anyway. I try to follow blogs I actually read, and I only have so much time to read blogs. I feel a little false when I follow a blog that I don't actually read. This is why I don't participate in the Follow Friday meme (not bashing it at all, Parajunkee is an awesome blogger. That meme is just not for me). Anything else you’d like to share about your experience? If you have a question, don't be afraid to ask! Everyone I have asked has been super helpful and nice. I can't speak for anyone but myself, but I know when I've been asked questions it has totally made my day. Is there anything you’d like to tell us about your blog? I'm alwys looking for feedback. A large part of why I started this blog was to help other people, so I would love feedback on how I can do that better. What do you want to see? What do you like that I'm already doing? What do you dislike? I can't guarantee I'll make every change suggested because I have to make the blog work for me as well, but I will consider everything said. -It's funny to me that you describe yourself as not very computer literate and you're not totally satisfied with your banner and layout. I mean, seriously? I guess you're your own worse critic but your blog design is one of my favourites. -I can only imagine how time consuming this whole event has been for you. I can't speak for anyone else but it has really been great so far, getting to know tons of new bloggers that I wouldn't have found if not for this. -I know what you mean about being nervous and attempting to show my personality through my blog because I'm a very shy person IRL, too. I've definitely had that feeling where I've thought what I was writing sounded stupid or lame or silly. More and more I'm getting over this though. -I'm slowly coming to feel the same way as you do about Follow Friday. I thought it was brilliant at first but I find that more often than not, the kind of people who follow aren't always the ones that are truly going to be dedicated followers and commenters. -I love your theme posts where you group books together that have a common subject and do mini reviews on them. Keep it up! -Nope, I don't have anything I dislike and would like changed. Commenting definitely is time consuming. Especially because I do my best to reply to each that I receive, if possible. I can't just leave comments hanging! And following for the sake of getting a follower in return really bothers me. I don't support following blogs you might not want to follow. But thankfully I haven't had a problem with that, even after participating in Follow Friday. For designing your own layout, your blog looks great! I think Danny's amazing too and I love her designs. Plus, I'm glad you don't have the captcha code. They're so annoying because usually, I type a comment, click submit and x the tab - I love tabs and you usually have a lot open - but then I realize that I needed to type a word before the comment is submitted. I'll be honest and say I'm way too lazy to go back and retype what I said. I was wondering where your answers were! Hi . I started my blog about the same time you started yours. Thank you for this spotlight post. It makes for interesting reading. I'm still finding my feet with blog hopping and participating in them. It's a fine line to juggle everything sometimes. I look forward to participating more on your blog :) I like the personalization you've done. Hey this is great! And don;t get discourage. Once you get establish, followers will come. You put out some great advice. I'm so glad you decided to feature yourself! This was an amazing idea you came up with, and it was so much fun to get to meet new bloggers just dipping their feet in the YA book blogging pool. Whatever you do, don't get discouraged about the number of followers you have. Back when I had just over 100, a marketing person called me to discuss my blog and reminded me that some of the best blogs have few followers, but those followers always interact. Always remember - quality over quantity! Aylee, Thanks! Haha, yes, I am my own worst critic. I’m really glad you like my blog design. I’m pretty happy with the way it turned out. I’m so glad you’re having fun with this event! You guys have all made it fantastic. Oh gosh, you shouldn’t feel silly at all! You have this sense of humor I love and it comes out well in your posts. I’m often smirking or laughing when I visit your blog. I think Follow Friday is a great way for people to be exposed to new blogs they might otherwise miss. So in that regard I think it’s a fabulous idea. I do personally prefer to know that the people following me are actually following me, and I want people to know that if I follow them, that means I read their blog. So the event just isn’t for me. Oh good! I’m glad you like the Spotlight posts. If you ever have any theme suggestions, I’d love to hear them. I have a few more ideas, but I’ll need more! Michelle, I’m glad you like the post and my blog :) Please feel free to participate in the event yourself! I’d love to read your responses. Savannah, Thanks! At this point I think I’ve fully busted the newbie blues :P How can I be discouraged with such a great community? Melissa, I’m so happy you like the event. You’ve been a super star commenting on everyone’s blogs! You’ve kept the momentum high and have been really supportive of everyone. Thanks so much! Petty Witter, You’re welcome, thanks for reading it! I agree too. Laura, Thank you! I’m lucky in that I have a pretty laid back job where I can get a lot of reading done, but I don’t know how some of these bloggers do it! They’re so busy and yet they still manage to read a ton of books and write a ton of really quality reviews. My hat goes off to them. I like the design of your blog. It’s fun! I have a tough time with "following" it seems to be the etiquette to follow back whoever follows your blog. I just have a problem with this because I only want to follow blogs I enjoy and will visit and make comments on. I don't want to just follow someone and then never visit their site again. I really enjoy reading your reviews. You have a very pleasent writing voice. I struggle with my writing and being a perfectionist, I'm never quite satisfied with what I put up. So glad I got to see your perspective. This is a great alternative to Follow Friday. I agree that a lot of it can be about just getting more followers to show off on GFC, but I really want that quality interaction. I've heard conflicting things about comments. Some people say you should comment on the same post to reply, and others say you should comment back on the other person's blog or by email. On the one hand it's nice to not have to come back (as a commenter) to check in on answers, but for other readers it looks good to have you interacting with the commenters. So I'm torn. Thanks so much for starting this event! I've been finding some amazing new blogs and getting some great advice from established bloggers. I think your blog looks great, so I would have never known you weren't experienced with the tech side of blogging. Also, I think time management is a big challenge for a lot of bloggers, I know it is for me, but your doing a wonderful job! Another person who doesn't like captcha codes...good. I think the idea of having your own voice is overrated. 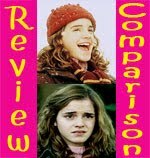 As long as a review is grammatically correct, has decent spelling, and is informative, I don't really care about the writing style. My style changes from review to review depending on the mood I'm in when I write it, but overall I just keep things conversational, because I'm too lazy to make things formal. I agree that time management is hard! You're doing a great job - keep up the good work! Gina, Oh you are too kind, but thank you! The santa cap, snowflakes, and ribbon are new for the season. I didn’t know you were small, too! Yay! I agree with you on the following issue. It’s good to see I’m not alone in my reservations. I’m so glad to hear you enjoy reading my reviews. I enjoy your reviews very much. You have nothing to worry about! Loganeturner, I’m glad you enjoyed reading this! I don’t mean to compete with Follow Friday in any way. I think it’s great that there are so many wonderful ways for us all to meet and connect. That’s a good question about comments. I can see both sides. For myself, I tend to prefer keeping the conversation on one blog for a few reasons: I can easily refresh my memory about what we were talking about (a response of “I know what you mean!” would pretty much be lost on me without the context of the previous comment). As a reader, I enjoy being able to follow an interesting comment conversation and that’s lost if they’re split between two blogs. I’m also kind of obsessed with organization, so I like having comments attached to the post they relate to rather than mixing it up. To each their own, ultimately, but that’s where my preference lies. Jenny, Thank you! It looks like you’ve worked out a way to juggle it all, since you seem to be doing a fantastic job writing quality reviews, quality and prolific comments, and reading a bunch. Kudos to you! I’m glad you like the event! I would love reading your responses, especially given how amazing your blog is (but I of course understand if you’d rather not). I've been blogging since early 2007 and I only have ten followers and hardly any comments anymore until you began stalking me. :) Now that is discouraging, but then I don't take the time to get my name out there. I blog and I read. If someone stumbles upon my name in the process that's been great. I hope the new look of my blog doesn't hurt your eyes to read, my dear! Moony, Haha, hope you don't mind me stalking you! Actually, your blog is ok for me to read. I think it's because you have the font set against a gray background and there's less contrast than if it were a black background. I definitely second the 'don't be afraid to ask questions' thing. I have been doing a lot of that recently in terms of asking how to contact publishers. I'm a little nervous about contacting publishers. If you have any tips, I'd love to hear them. I don't think I'm ready to do it yet, but I'd keep it in mind for the future.